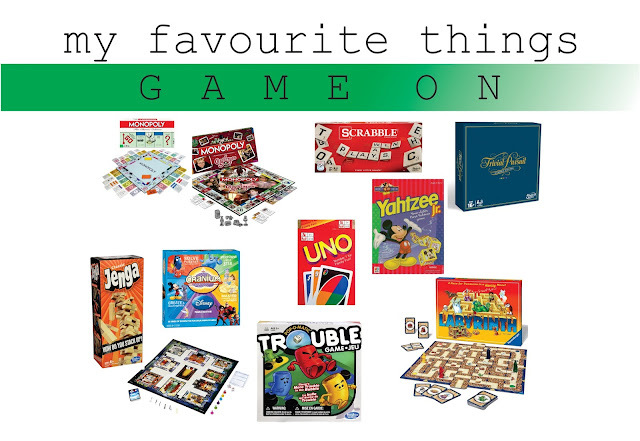 my favourite things - game on! I've decided to try and do a few posts of my favourite things this December. 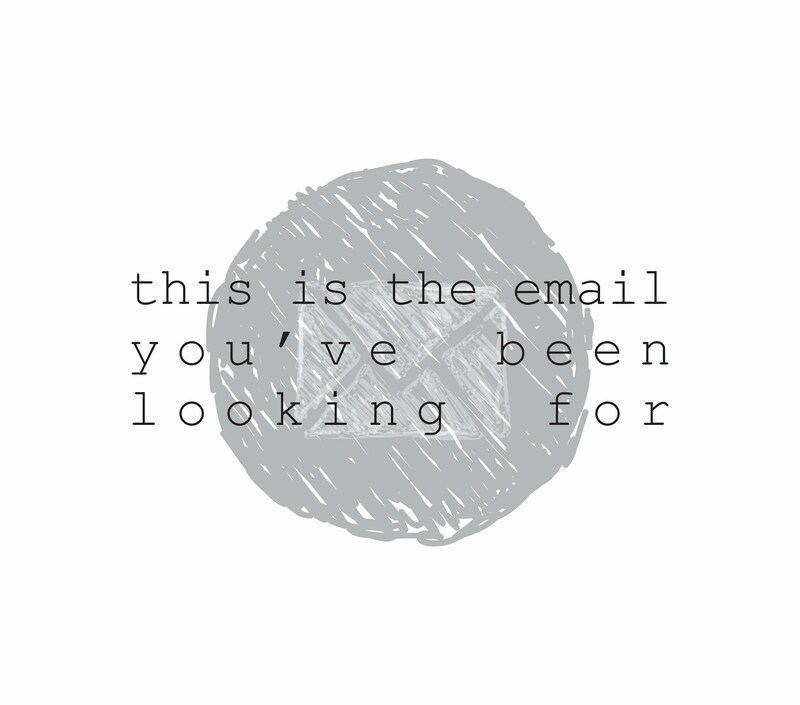 Let me start by saying that I am NOT trying to sell you anything. Nothing. We are a board game family. I grew up in a board game family- as a child of the 80's this isn't really surprising- and my parents and my brother still enjoying playing too. 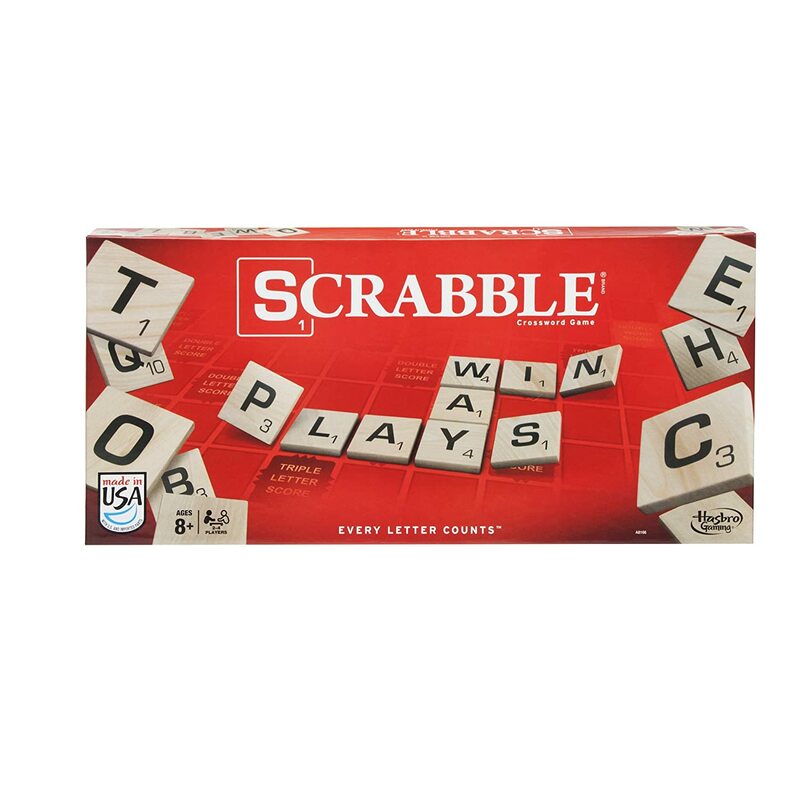 Winter and the holidays are a great time to have a new game or two kicking around - we just played a big round of Scrabble with my folks after dinner a couple weeks ago, it was so much fun. If you haven't figured it out by now, I'm going to share with you the top ten games we love and have loved over the years. What a shock, right? This is a favourite in my family- has been for many, many years. My brother and I used to play with our gramma at her apartment for hours on end. She was always the shoe. 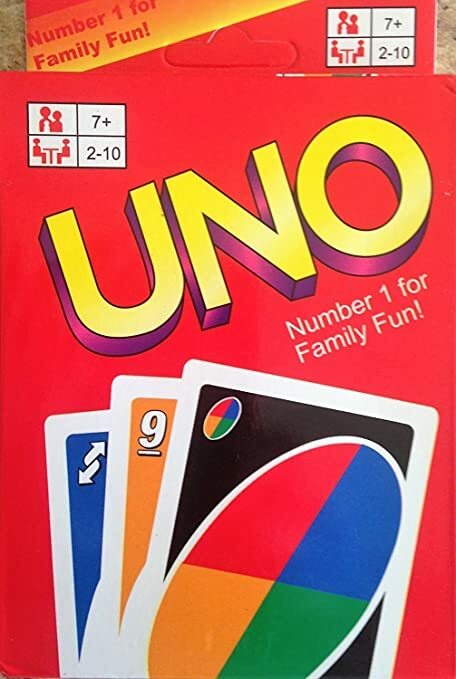 We play it now as a family (my kids are big enough to understand it) and when we play with my folks and my brother there's a whole lot of laughing going on. Big Casino gets screamed at least once or twice- don't ask, it's not in the official rules.... it's in the MacDonald family rules. I scored HUGE a few years ago at the thrift store and got Christmas Story Monopoly. Double win for us. Favourite movie, favourite game. This is another old favourite for me. My brother and I used to play it like crazy. My kids also love this game. We started playing when my son was in Junior Kindergarten (he was 4) it really helps with colours and numbers and matching. We have three versions of it, but I like the original. It's simple and neutral. 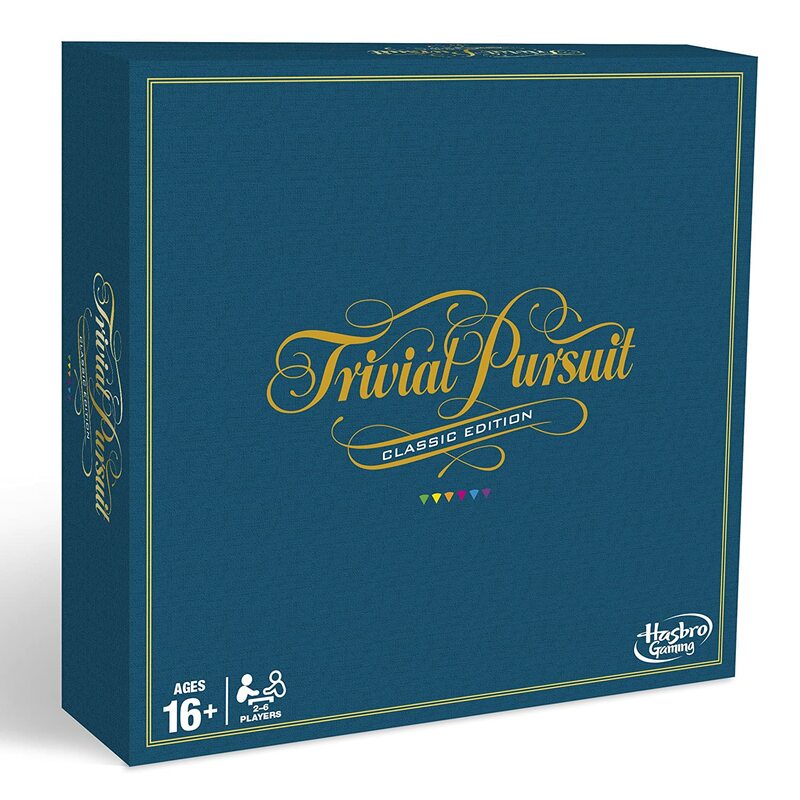 This is one we never played as kids. 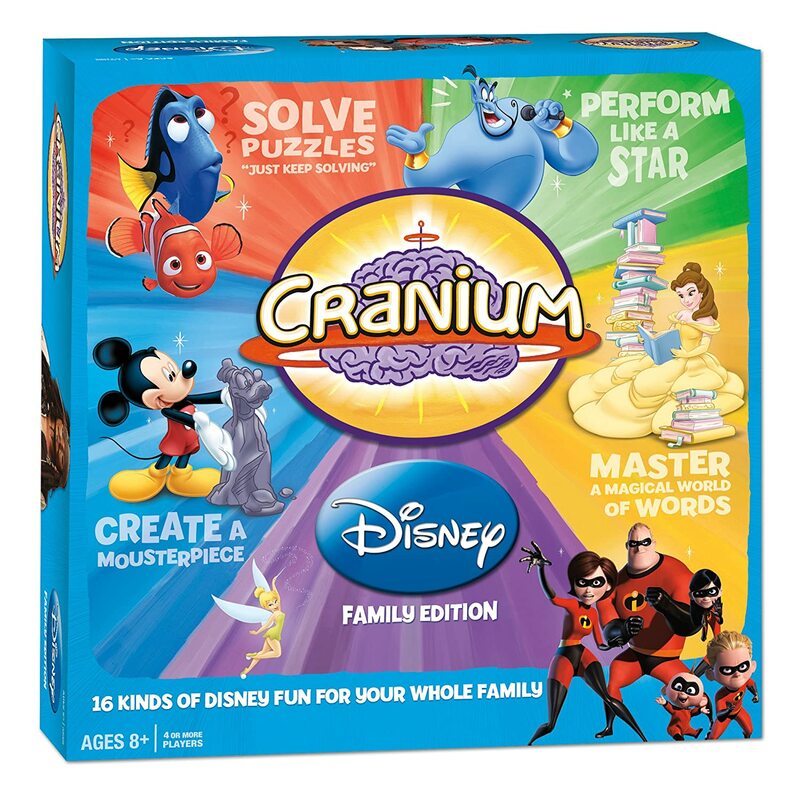 We just started playing this as a family in the last few months- now that the kids are older, it's really good for spelling and for making their brains work harder! I know it does that for me! My mom and dad just played with us a few weeks ago as I said, and now they are hooked. If you're wanting to exercise the old brain, this is it. Again, I lucked out at the thrift store and got a pretty kicking edition- it is on a swivel and has a plastic board with squares so the letters don't shift. 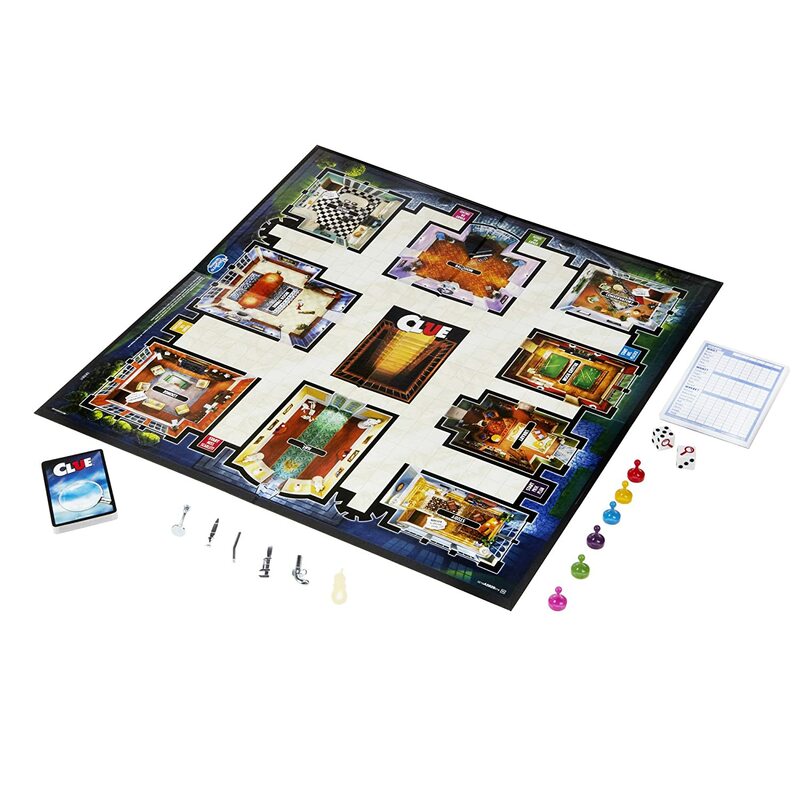 It was Professor Plum, in the conservatory, with the candlestick. 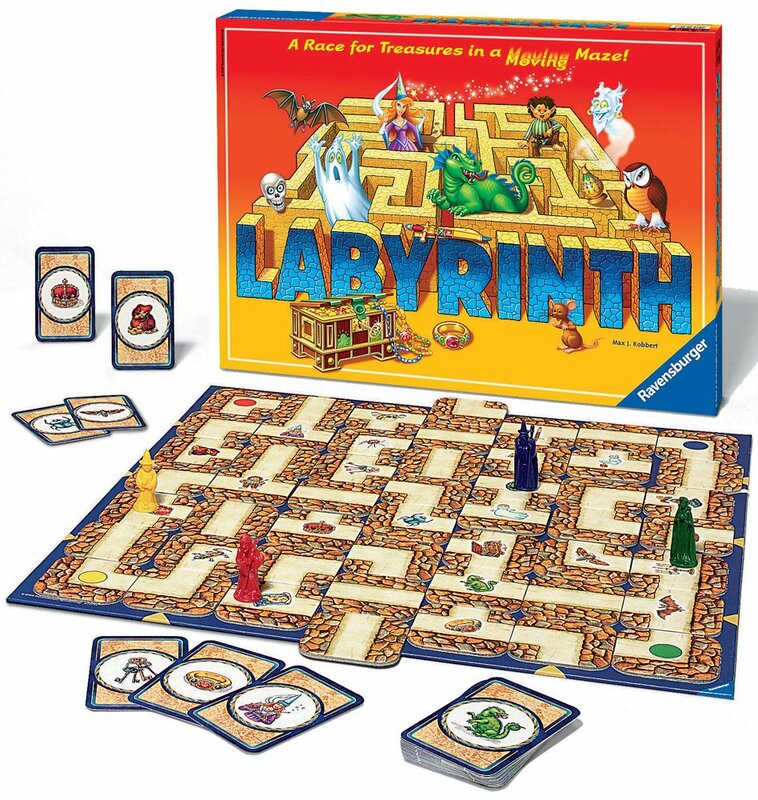 Another we played as kids that my kids love now. 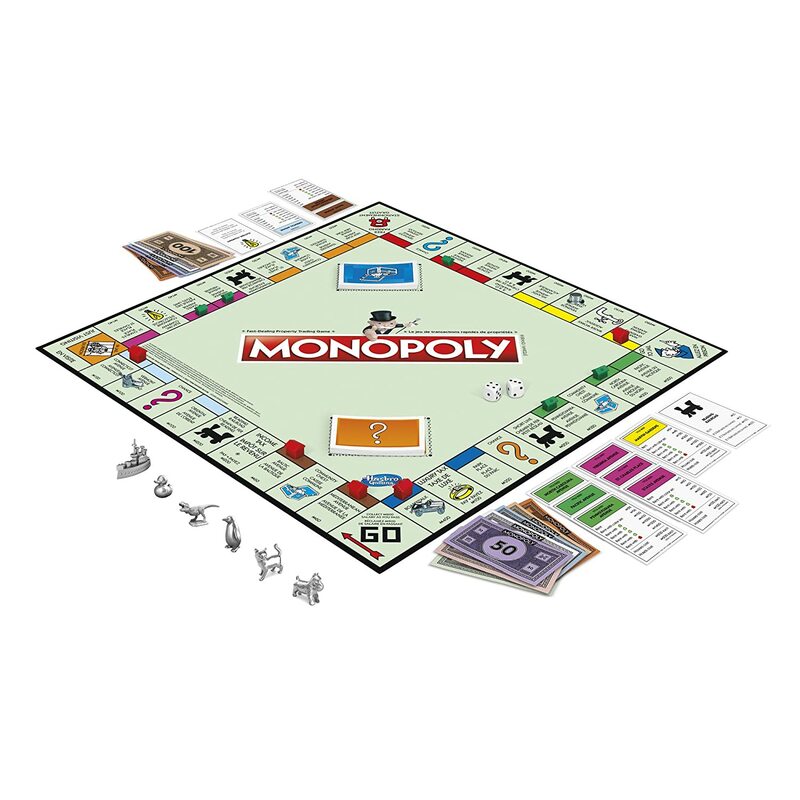 They have a game at both sets of grandparents (my folks have our old game, my inlaws got talked into buying a new version). They love Sunday mornings after breakfast at my inlaws, sitting with their older cousin and grandpa making all kinds of accusations. We have a Star Wars version we got last Christmas, and although my nerd self loves Star Wars, I don't dig this. The board is a giant pain to set up and it's just awkward. I'll take Miss Scarlet any day. PS- if you haven't seen the Clue movie with Tim Curry and Christopher Lloyd, you should. It's 80's cheese at it's finest. This is another Big Casino! in the MacDonald family. 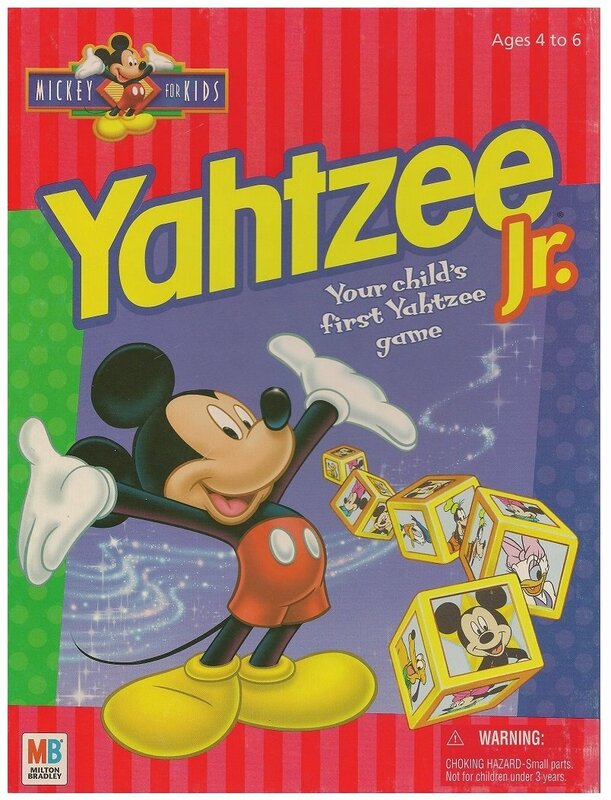 At my house, the only version we have is Yahtzee Jr. Disney version- and you know what, we love it. 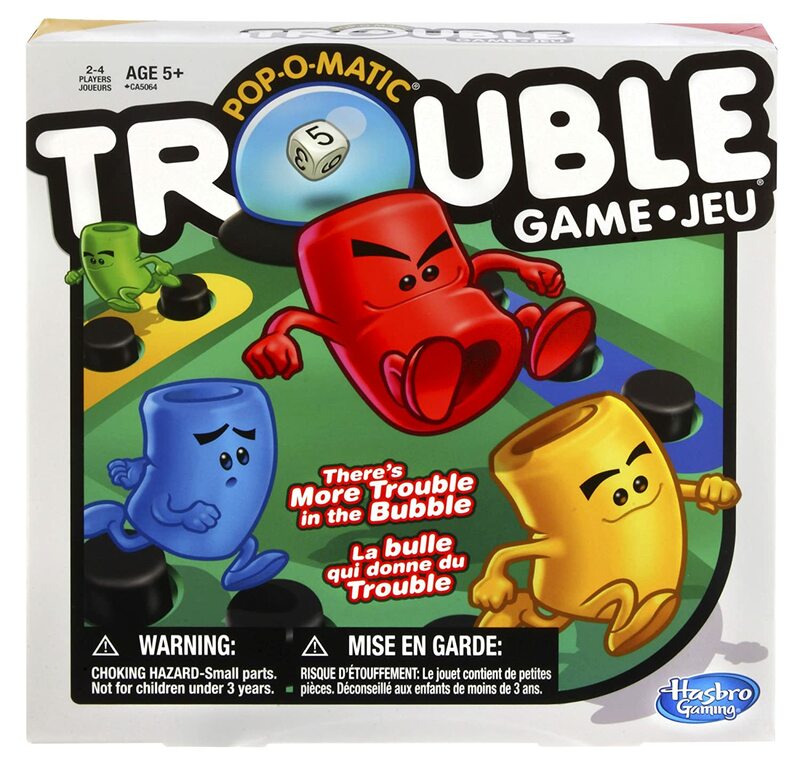 My kids could play this when they were very small, matching the characters and making decisions that have consequences. I just asked my daughter what her favourite game is, and this is what she said. I'm so not good at this game, but it is so fun to play with kids. The pop-a-matic bubble. Look for the old version at yard sales and thrift shops.... the old board is the best. 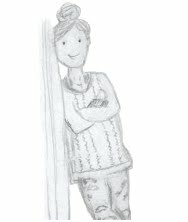 My kids love this- I hate the clay. Here's a tip- I always am on the lookout for the vintage editions of games at yard sales and thrift stores. Yes, sometimes you'll get burned with missing pieces, but more often than not, you will score big. The ones I've picked up are the only versions we play now. The boards are generally sturdier, and if you don't pick something that can get dated (the Wheel of Fortune I picked up is VERY 80's, Ronald Reagan is an answer! )it will be the same game as one you pick up brand new.